The McMichael Volunteer Committee (MVC) was founded in 1985. 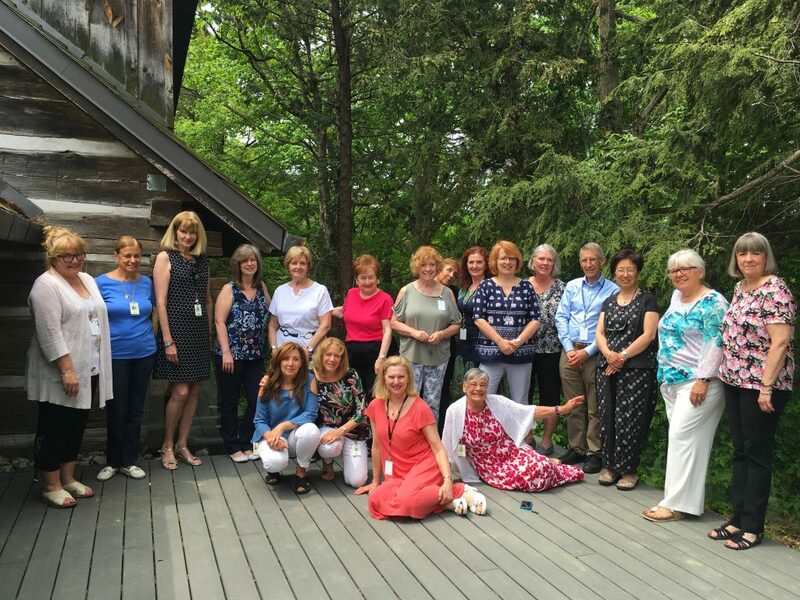 It comprises of a dedicated team of McMichael members from all walks of life who share a passion for the arts and are committed to volunteerism. McMichael volunteers play an invaluable role in the gallery — whether they are interacting with visitors, supporting events or fundraising. 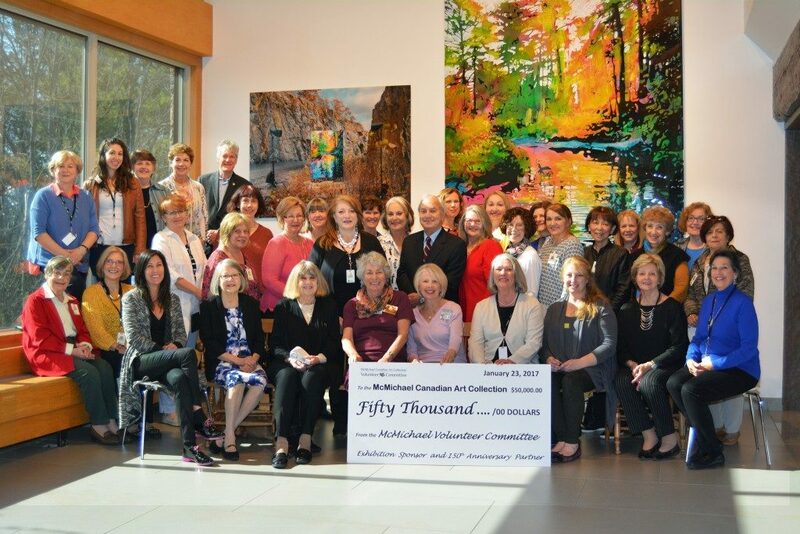 In addition to contributing their time, as of April 2018, the MVC have contributed over $600,000 through fundraising to the McMichael Canadian Art Collection. These funds have supported the V.O.I.C.E.S. program, the free Sunday Music program, the Bench Project, and also contributed $50,000 towards the gallery’s Canada 150 celebrations. Volunteer help is required mostly on weekends. General volunteers must commit a minimum of 25 hours per year. General meetings are held once a month on a Monday morning from September to June. Docent volunteers follow different guidelines (see below). A McMichael membership of $65 per year is required to be a member of the MVC. For additional information, please email us at hr@mcmichael.com. This year’s sale takes place the weekend of October 18 – 20, 2019. 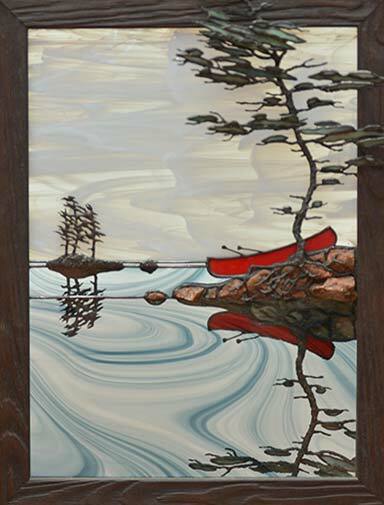 More information on 2019 Autumn Art Sale . 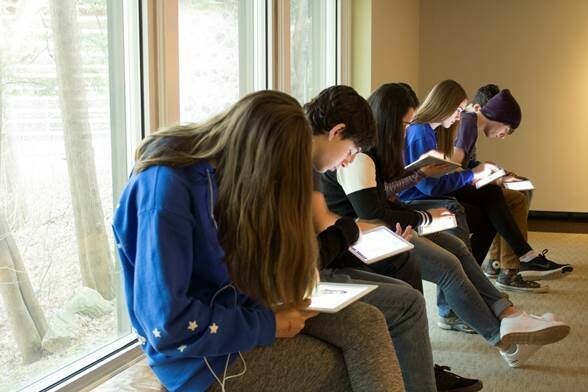 The McMichael Canadian Art Collection is seeking qualified, enthusiastic, sociable individuals to join our dedicated team of docents – volunteers who share an interest in introducing children and adults to the Art of Canada*, its culture and history. Volunteering as a docent is a wonderful opportunity to learn more about our country and share your love of learning with visitors. 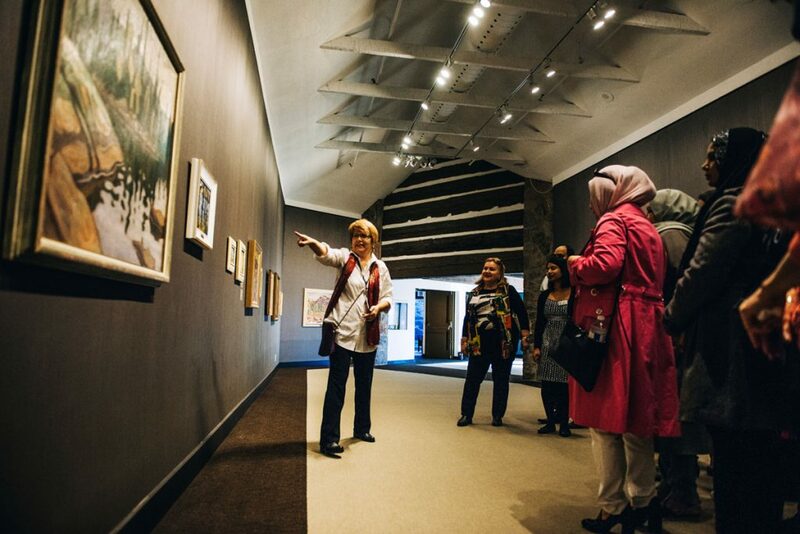 Docents lead interactive tours of exhibitions and the permanent collection for McMichael’s student and adult groups. A docent may opt to lead programs for students, adults or both. Generally, school program docents conduct themed tours for school groups from September to June, excluding holidays. These tours are highly interactive and include hands-on activities. School program docents are also involved in facilitating studio programs. They commit to one day a week of active service during the school year. 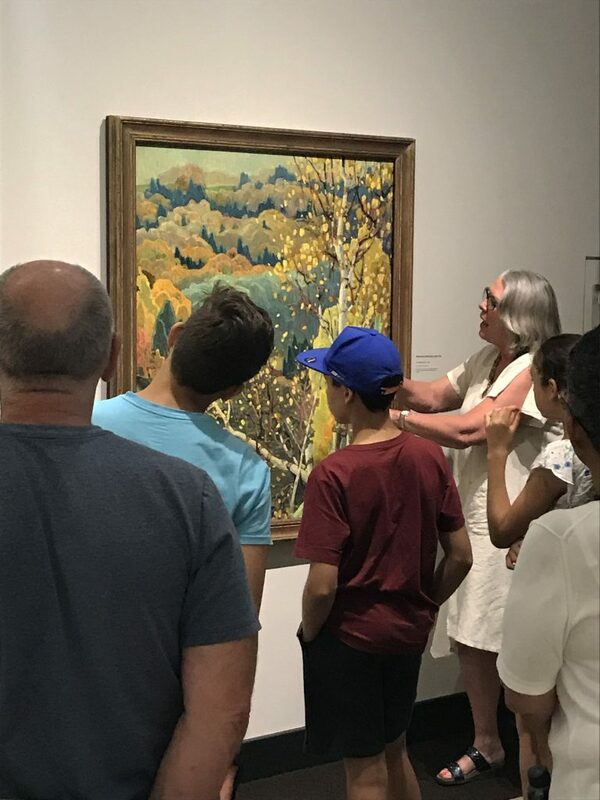 Docents are also required to attend training sessions every third Monday of the month from 9:30 a.m. to 12:30 p.m.
Gallery tours docents are responsible for providing tours of the collection to McMichael visitors from Wednesday to Sunday, and to special interest groups /private tours as required. They are required to commit to a minimum of two days a month and 75 service hours yearly. 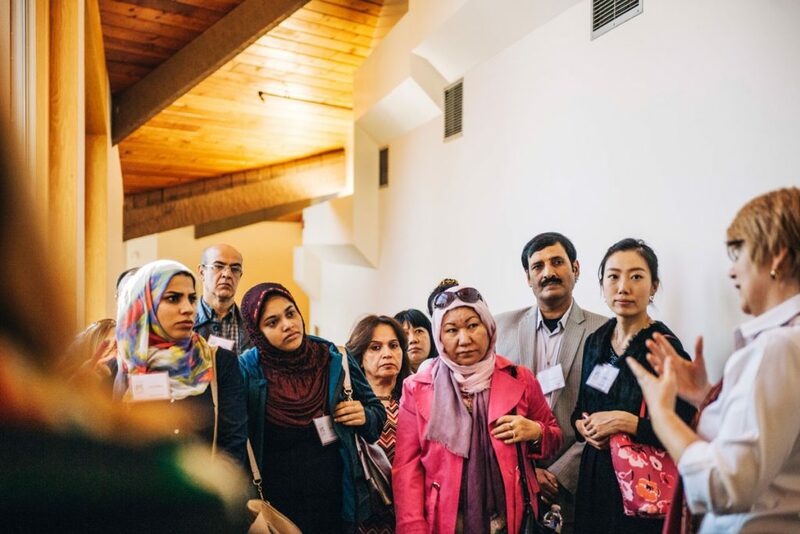 Gallery tour docents are expected to attend monthly training sessions held between September and June on every third Saturday from 10:00 a.m. to 12:30 p.m.
What Type Of Training Does A Docent Receive? New docents, also referred to as provisional docents, must attend a number of docent training sessions. During these meetings they will be introduced to the McMichael’s permanent collection and learn basic guiding techniques. If you would like to learn more about this program, please contact emogentale@mcmichael.com or call: 905.893.1121 ext. 2224. Discover new adventures, create new memories, and receive your community service hours in a unique setting that combines art and 100 acres of stunning conservation land. MYT members must commit a minimum of 12.5 hours of volunteer service in their first year. Volunteers for the McMichael ArtVenture March Break & Summer Camp are required to be members of the MYT. Join the McMichael Youth Team Today! If you are interested in applying to the MYT, please download the MYT Application and email your form to myt@mcmichael.com. If you are interested in volunteering for our ArtVenture Summer Camps, please click here.